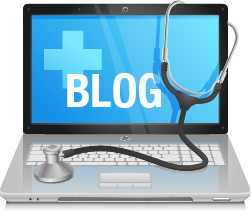 Our blogs are designed to support your efforts in optimizing patient care. Watch for key product and industry news as well as practice tips from expert users. Overactive Bladder (OAB) is a severely undertreated condition. Patient rarely meet their treatment goals with conservative therapies and the drop-off rate for drug therapy is extremely high. There are other options, including Urgent® PC, recognized by leading urological societies. The Expand OAB Blog focuses on how practitioners can expand care to their OAB patients who may be looking for additional options. Flexible endoscopy is a key procedure for diagnosis and treatment of many different conditions. The challenge for the healthcare community is that conventional endoscope cleaning and disinfection (i.e., reprocessing) is time-consuming and complex. Our Best Practices blog will highlight how the PrimeSightTM endoscope, along with the EndoSheath® protective barrier, can provide a more efficient solution.